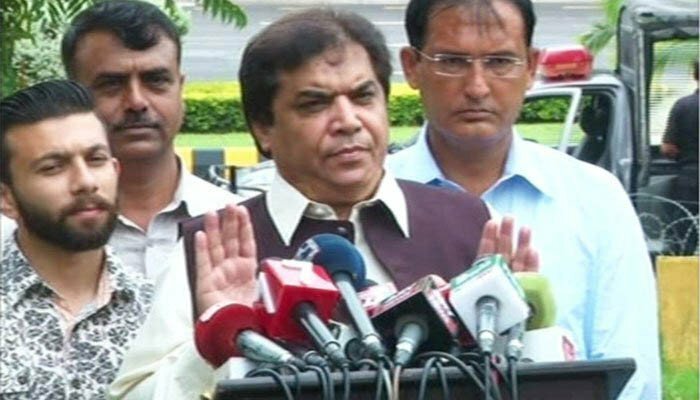 Rawalpindi: The Lahore High Court (LHC) on Wednesday directed the Anti-Narcotics Force’s (ANF) lawyer to forward his arguments on an appeal filed by incarcerated Pakistan Muslim League (Nawaz) Hanif Abbasi challenging his conviction in the ephedrine quota case. A division bench of the high court was hearing the appeal that assaulted the Control of Narcotics Substances (CNS) Court’s July, 21, 2018 verdict, sentencing Abbasi to life imprisonment after finding him guilty of misusing 500 kilogrammes of controlled chemical ephedrine. The ANF lawyer requested the bench to grant some time to forward arguments in the case. Allowing his request, the bench adjourned the hearing and directed the counsel for the appellant and ANF to come prepared on the next hearing. Last year in July, Abbasi was arrested from the court premises soon after the CNS Court of Rawalpindi Judge Sardar Akram awarded him life imprisonment. The judge, however, acquitted seven other accused owing to lack of evidence. ANF had registered a case against Abbasi and his accomplices in June 2012 under sections 9-C, 14 and 15 of the Control of Narcotics Substances (CNS) Act for misuse of 500kg of ephedrine. It is pertinent to mention here that another case related to the misuse of 9,000kg of ephedrine has been pending in the CNS court of Islamabad since 2011.